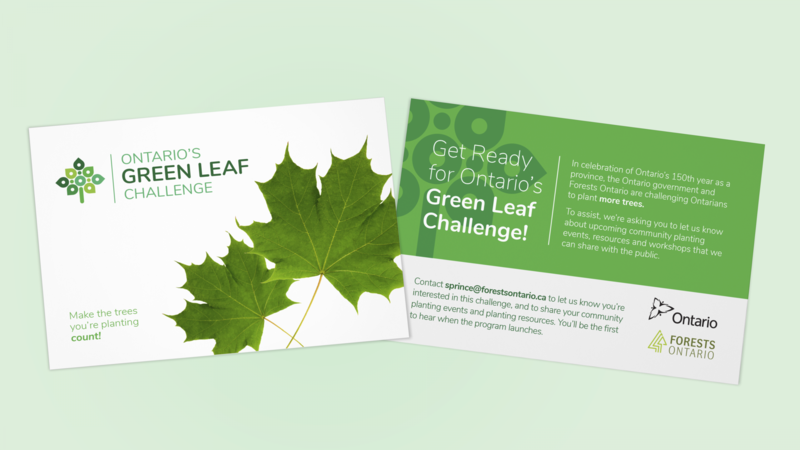 In celebration of Ontario’s 150th birthday, the Ontario Government challenged Ontarians to help plant 3 million trees across the province. 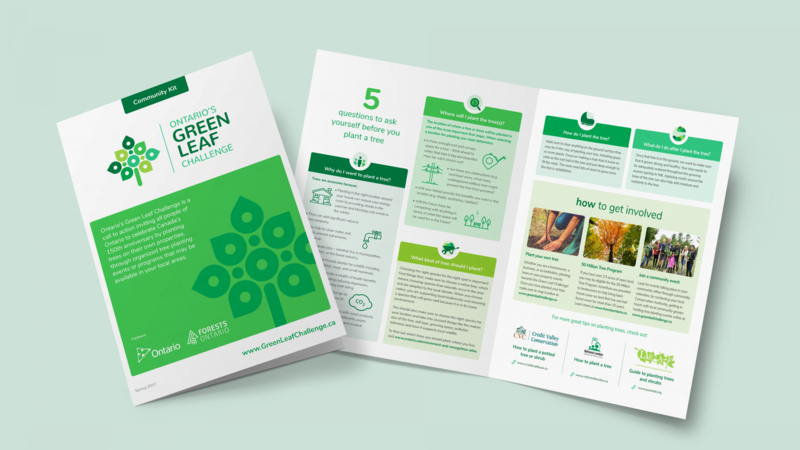 Working closely with the Ontario Ministry of Natural Resources & Forestry as well as Forests Ontario, Office/Bureau developed a brand and marketing materials for the Green Leaf Challenge. 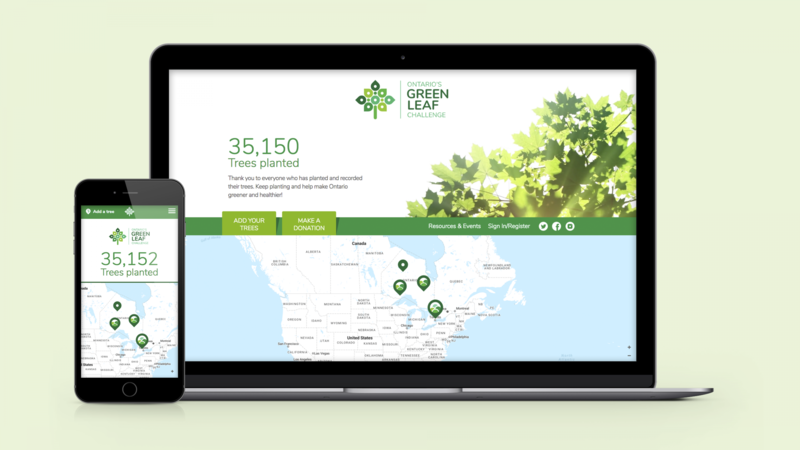 To help encourage organizations and individuals to track the trees they’re planting, we designed and built greenleafchallenge.ca. 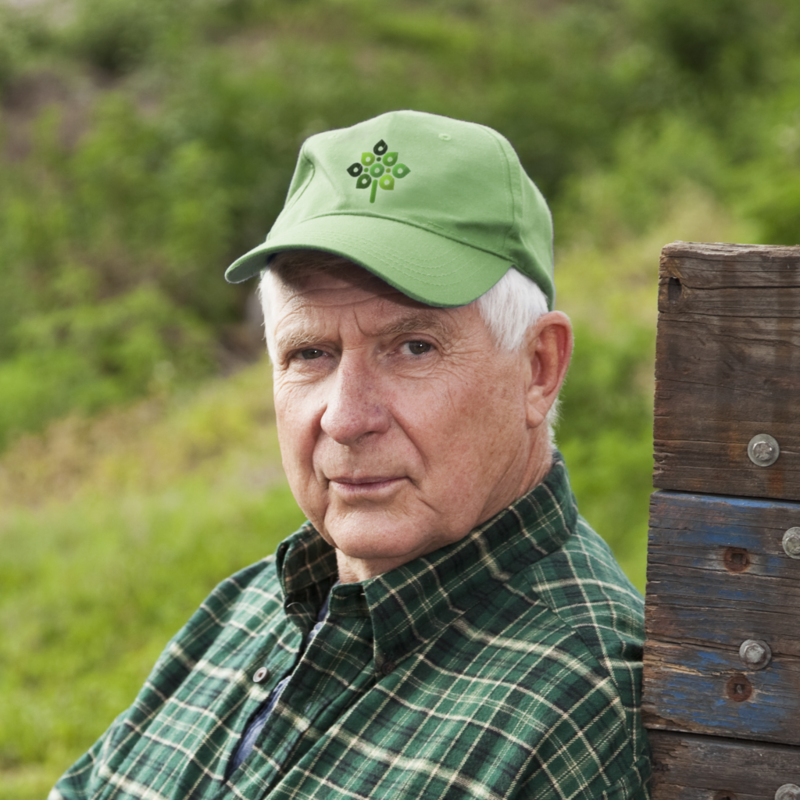 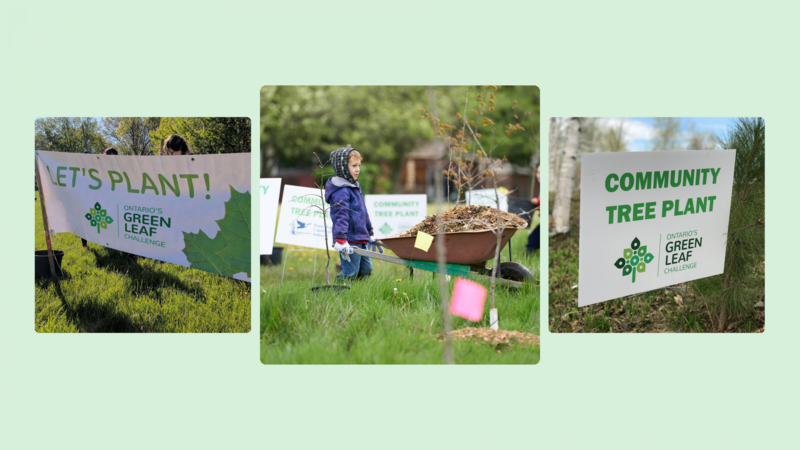 A site where tree planters can create a profile to track their planting, earn badges, appear on leaderboards and see the positive impact that planting trees has on our environment. 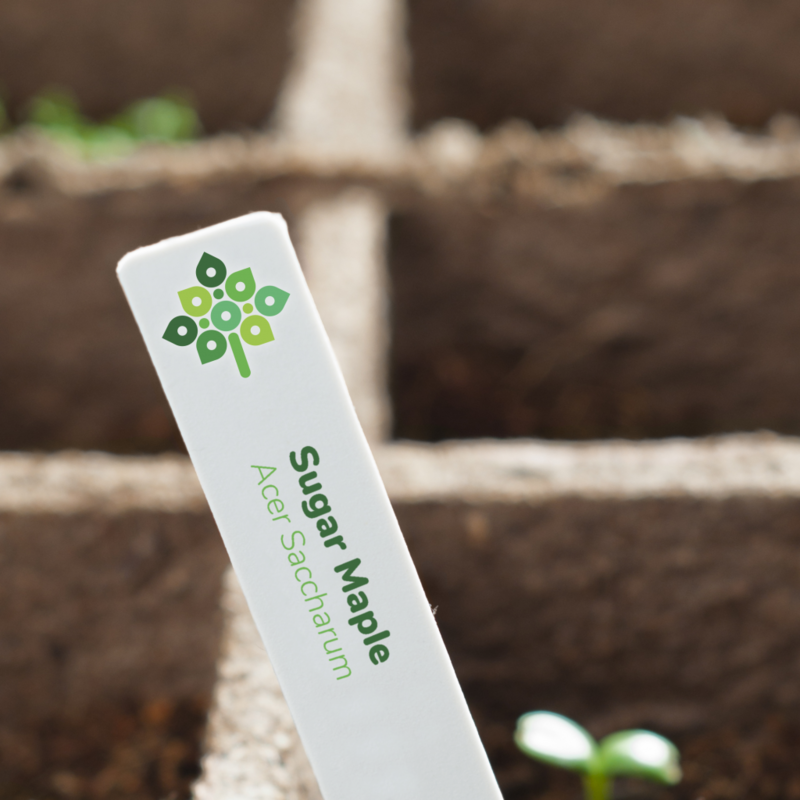 To date almost 1 million trees have been planted and tracked as part of the challenge, and that number continues to climb.